Swedish heavy music giants, IN FLAMES, have never stopped moving forward during the more than 20 years they’ve been performing. 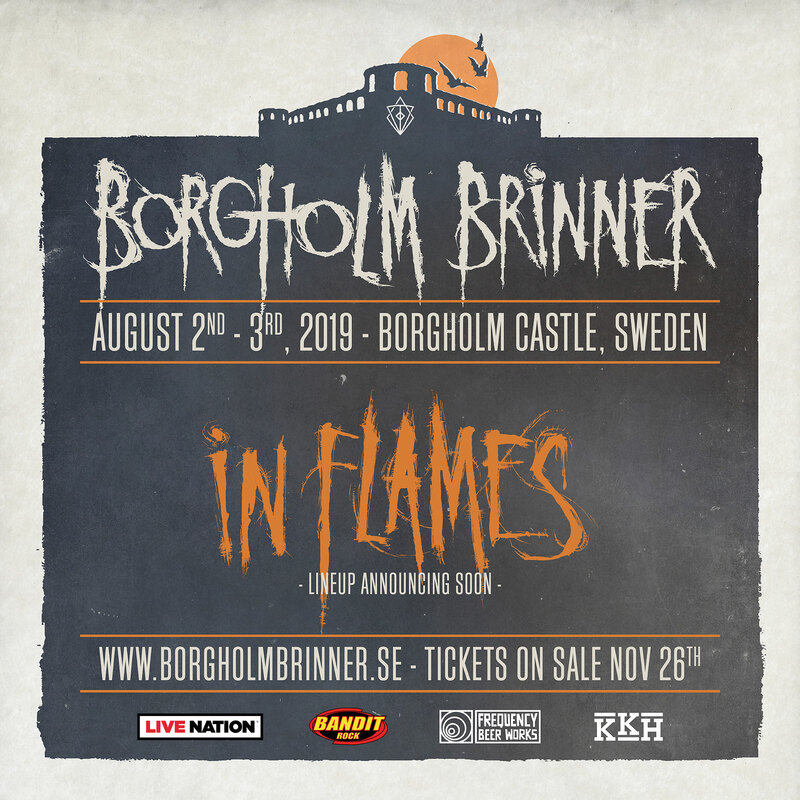 Today is no different as they announce news of their second annual two-day festival, BORGHOLM BRINNER (Borgholm Is Burning), happening August 2nd and 3rd, 2019. The lineup is to be announced, but fans can expect another two-night performance with IN FLAMES headlining and a variety of today’s top metal and rock artists. BORGHOLM BRINNER will again take place in the unique setting of the Borgholm Castle on the island of Öland, Sweden. Fans can purchase tickets and VIP packages on Monday, November 26th via www.BorgholmBrinner.se at 10 am CET. “This first year doing Borgholm Brinner was such a surreal moment in our career. It’s always been a dream to do something of that caliber, and it was more magical and special than we could have ever imagined. Being the first festival to take place on the Borgholm castle grounds was exciting and also taught us a lot about what we can do to make next year an even better experience for fans. We’re really excited and thankful to everyone who continues to follow our music and stay with us on this journey. In Jesterheads We Trust.” – Vocalist and co-curator of Borgholm Brinner, Anders Fridén. Meanwhile, IN FLAMES continue to tease fans with never before seen lyrics, alluding to new music coming soon. Stay tuned for more updates about IN FLAMES annual festival, BORGHOLM BRINNER, new music, tour dates and more at www.InFlames.com. NO WORDS NEEDED – PARAMORE!